Somehow, having met a mushroom like this, it does not want to touch purely on instinct. Although in appearance it is quite attractive and nothing portends trouble. Mushroom entoloma toxic (poisonous rotoblation) in the mushroom Kingdom is represented by several species. It is quite dangerous, as it contains many toxic substances. Entoloma poisonous is rarely fatal, more likely to have symptomatic health disorders that are treated in the toxicology Department of the medical institution. Rotovating poisonous can be found in gardens, city parks or young forests. These mushrooms grow well on simple soil, where good illumination and a large length of a solar day, at normal temperature and humidity. Entoloma toxic has quite a flat head large in size, which seems silky. The cap may have a diameter up to 20 cm, color from yellowish to slightly brown. Plates under the cap are well defined, at a young age have a slightly pinkish hue, and then become a pronounced pink color. If you break the cap, you can see the white flesh that smells of fresh flour at a young age and has a rancid smell when the fungus is aging. Lead on rotoblation quite stretchy and long, reaches to 10 cm. Entoloma poisonous – very poisonous mushroom which causes persistent digestive disorders. 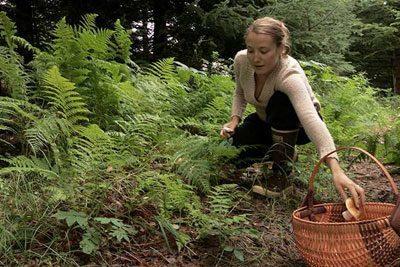 Experienced mushroom pickers bypass such instances side. Being careless when collecting mushrooms. Eating products that were purchased at an undisclosed location. The inexperience of pickers when entoloma poisonous is edible mushroom. Another, albeit rare cause of poisoning can become child-like curiosity when the kids are tearing unfamiliar mushrooms and taste it. If timely medical assistance recovery occurs in 2-3 days. The healing process may be slightly longer, if the person ate a lot of mushrooms or has a weakened immune system. If a person has eaten a large quantity of poisonous mushrooms can be fatal, although this phenomenon in the use of poisonous rotoblation rare. Thoroughly wash the stomach clean or slightly salted water. Wash out the bowel with cleansing enemas, it will approach a weak salt solution or a solution regidrona. Affected saline laxative – this is especially true if the diarrhea and vomiting yet. If pronounced inflammation of the stomach, intravenous saline and glucose. 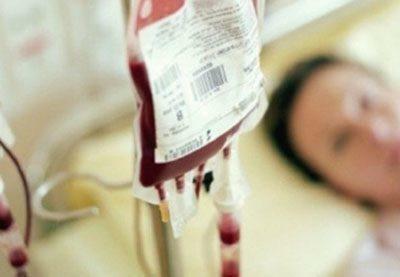 In severe conditions blood transfusion. 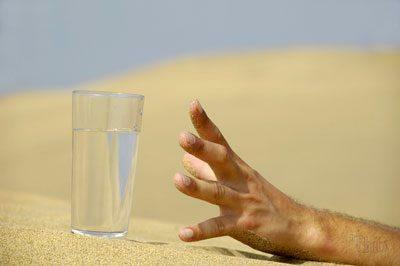 Patient ensure a good drinking regime to speed up the elimination of toxins and prevent dehydration. You can give water, fruit drinks, green tea or decoctions of herbs. Use as drink milk and soda is not recommended. 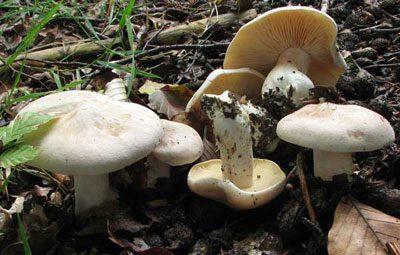 If entoloma poisonous tasted the whole family, even in the absence of symptoms of poisoning other people, all carry out preventive lavage of the stomach, intestines and prescribe adsorbents. 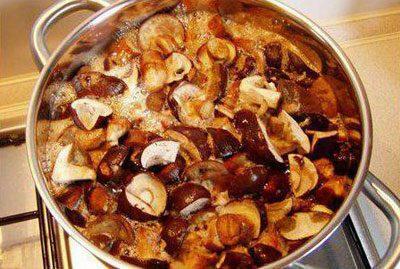 Any mushrooms – it is very heavy food for the weak stomach of a child. These products should be limited in children’s diets. Give only those that are sold in the store. Not worth it to risk the health and life of the child and to treat him with mushrooms collected in the forest! From the effects of intoxication often affects small children who have low body weight. At the slightest suspicion on poisoning with mushrooms it is necessary to call an ambulance! First, the product is boiled in salted water for about 10 minutes. The water is drained and poured clean, then boil the product for another 10-20 minutes. After the water is drained, mushrooms fried, pickled or frozen. With this method of cooking from accidentally caught a poisonous instances out poison, and they become less toxic. To minimize the amount of poison will help and drying. During the process of the toxic substances evaporate with the water. Entoloma poisonous is described in encyclopedias as a highly poisonous mushroom that causes severe poisoning. But in spite of this, inexperienced mushroom pickers continue to collect this dangerous instance. Because whatever you say, and look at rotoblation quite attractive.